Amid a measles outbreak in the Northwest that has stoked the flames of a national debate over vaccinations, Oregon lawmakers are considering a bill that would alter the state’s immunization process. Dozens of Oregonians showed up at the Senate’s health care committee Monday to voice their support for Senate Bill 649, which would require that providers administering vaccines give patients information packets outlining the chemical components of each treatment. The bill would also require the Oregon Health Authority to maintain a dedicated website containing that information. The proposal comes from Oregonians for Medical Freedom, a grassroots organization that advocates for parents’ rights to make informed decisions on the medical treatment of their children. Executive Director Sarah Bacon said in public testimony that the bill is not intended to take a stance on the vaccination debate, but to bring transparency to an area of public health that has typically gone without. “When you’re talking about vaccines, you’re talking about a liability-free product,” she said. Bacon said that while other drugs and products have warning labels and ingredient lists, vaccines do not. Vaccinations are a hot button issue in Oregon. The state has the highest rate nationwide of kindergarteners who are lacking at least one vaccine because of a nonmedical exemption -- 7.5 percent, according to the Oregon Health Authority. The rate has risen the past few years after dipping in 2015, from 7 percent to 5.8 percent, after a law went into effect that requires parents to watch an online module on vaccine safety or have a talk with their medical provider to obtain a nonmedical exemption. Parents will have to show school officials their exemptions by Wednesday, which is Exclusion Day, or proof their school-aged children have been vaccinated. If they don’t have the documentation, the children will be sent home. Rep. Mitch Greenlick, D-Portland and chair of the House health care committee, is preparing a bill that would eliminate the ability of parents to obtain an exemption on religious or philosophical grounds, news reports said. The bill has not yet emerged in committee. For this bill, the chief sponsors included Sens. Tim Knopp, R-Bend, and Dennis Linthicum, R-Klamath Falls, both of whom serve on the Senate health care committee. Neither took a stance on the vaccine debate, but both testified that patients deserve to know the potential risks of any treatment their doctor might suggest. Since 1987, federal law has required that all vaccine administrators provide patients with a vaccine information sheet produced by the Centers for Disease Control and Prevention. 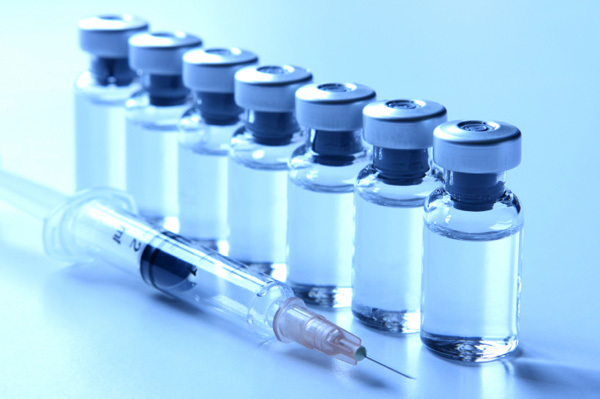 It outlines the benefits and risks of each vaccine. Jessica Adamson, government relations director for Providence Health & Services, said in public testimony that this makes the proposed law unnecessary. But more than 30 people signed up to testify in support of the legislation, and many said they’ve never received such information. Dr. Paul Lewis, tri-county health officer for the Portland metro area, testified in opposition to the bill, arguing that information packages like those proposed can scare people out of getting vaccinated because they don’t understand the chemicals involved. He used formaldehyde as an example, which is toxic to humans in certain doses but is also a major component of human metabolism. Dawn Nolt, representing the Oregon Pediatric Society, said in the hearing that there is already an abundance of information about vaccines and that the proposed packets would be incomprehensible to those without a medical education, leading to confusion. She said there would be a greater hesitancy to vaccinate if the information provided made patients feel less informed. But Darcy Rapoza, policy director for Oregonians for Medical Freedom, said the bill is asking for a one-page sheet that wouldn’t be too complicated or take too long to read. She added that the sheets provided by the CDC are generic and don’t cover each brand-specific administration of a vaccine. Following its public hearing Monday, Senate Bill 649 will be scheduled for a work session, in which committee members will decide whether to advance the proposal to the Senate floor. Have a tip about health care or the Legislature? You can reach Alex Visser at [email protected]. Medical professionals abdicate responsibility to serve individual persons if they fail to carefully assess the health of a person before innoculations. Understanding the special risks of different cohorts is important, and what is happening now is that too many learn the risks after damage occurs. Those individuals who have done careful research themselves, some of whom are scientists, are attempting to practice proper self-care and to enlarge the percentage of the population who understand the risks. Whether government and corporate interests approve of efforts to increase informed consent, increasing legal actions cannot continue to be hidden with questionably enforceable gag orders. At some point, I hope "competing interests," as conflicts are sometimes now called, shrug their shoulders and give in to allowing an informed public. While one can sympathize with Dr. Lewis about the scare value of simple information that has words like formaldehyde and mercury, appearing to conceal information is nearly always a bad approach and only worsens as the heat rises around an issue. Complete information, including the wide contrast between toxic quantities of preservatives and those in vaccines, is the best we can do. We cannot help those (including scientists in other fields who are unable to distinguish the limits of their understanding of medical science or the scientific method itself) who will respond in an unsupportably fearful way to good information from good scientists. An anecdote about some bad situation, somewhere, or a small "study" in a non-peer-reviewed journal, will trump reason and good data for some. The question unaddressed by most of the discussions, is "what right do parents have to follow their unfounded beliefs and thereby put my young grandchildren, or my family member undergoing chemotherapy, at risk from their child's measles case in the school--because they were granted a non-medical exemption with the right to put their child in among the rest of society? If that's appropriate "individual rights" protection, we have a problem. One hates to wish for litigation, but multiple ruinous lawsuits for parents who have more probably than not harmed others in this way could be the only lesson that will "teach" in the world we live in. The only "right" should be to home school those children, if we are to continue abandoning them to the risks imposed by their parents.